All our limited edition luxury ties are proudly made in London, England. I specialise in limited edition ties because every one is different and unique in their own way. Producing ties is an art or craft, and I have always had this view. Therefore it made sense to present a collection, which resonates with this philosophy. 'Limited edition’ in this context, simply means a small amount ties, which are made from a limited run of fabric, sometimes known as dead-stock. Another words, they are not massed-produced or made by machine at the back seam. Hence the chance of you meeting someone else wearing the same thing is highly unlikely. Our ties are all finished by hand through the slip-stitching method, which allows for supple movement. Therefore this minimises the chances of the thread breaking during the knotting process and allows for the tie to comfortably straighten back into shape after it has been worn (again, without thread breakage). This increases the tie’s durability, which is clearly a great thing for a sartorial gentleman. 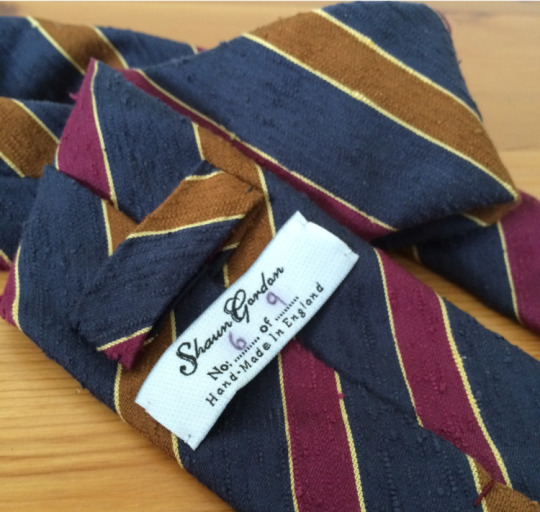 Each tie is purchased will have a special number assigned to it, which lets the wearer know the exact number that was made and is exclusive to him. For an example; the last Leonard tie was purchased last week and will never be made again, which make it exclusive and highly special for the wearer (photo below). 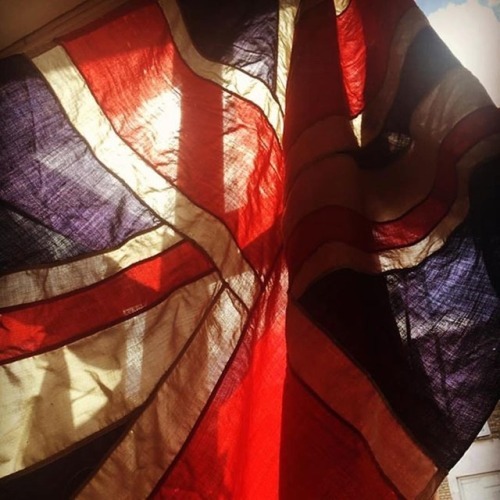 Flag Photo Credit: @282portobello ~ if you love vintage clothes give 282 a visit.